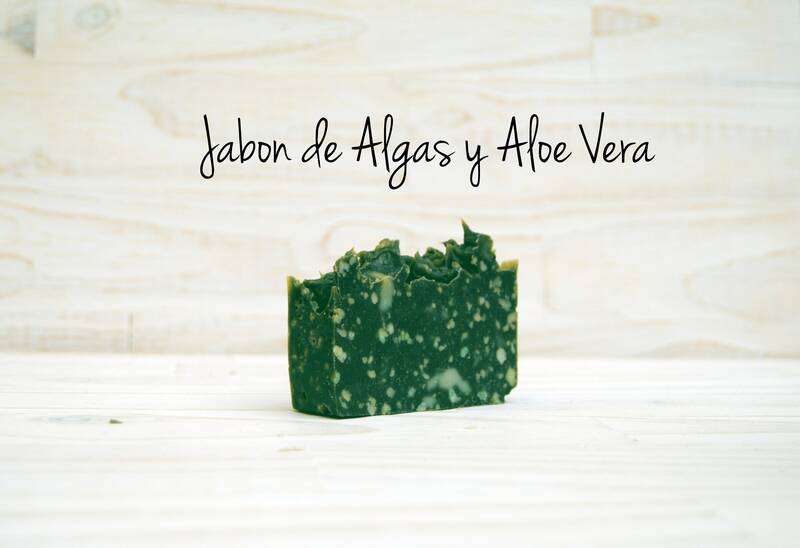 Jabón artesano de Algas y Aloe vera. Facial and body shape for all skin types. Moisturizing, nutritive, repairs vitality and elasticity of the skin. This soap has great properties since it contains three different types of sea algas: fucus alga, spiruline alga and irish moss. 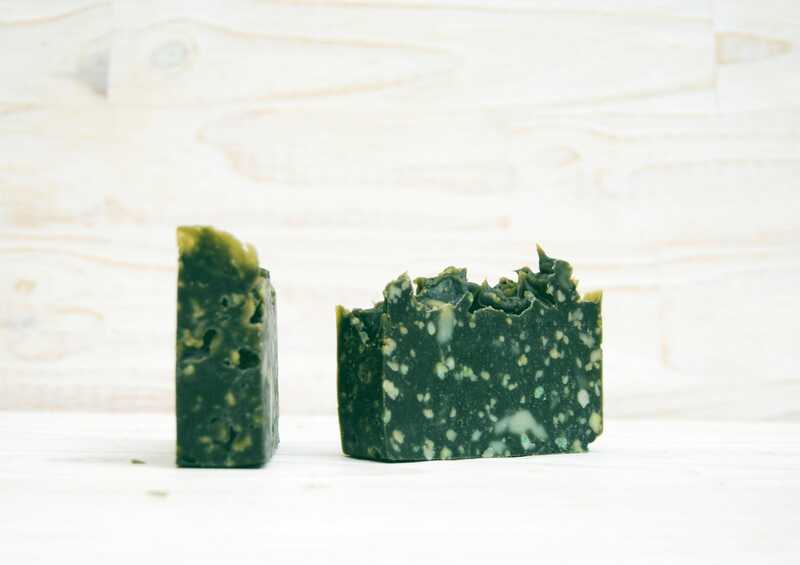 Algas have an important antioxidant and vitamin power, and the mix of the three types make this a very appropriate soap for mature skin, along with the aloe vera which helps calm down irritated skins. Cleans, humects and softens the skin, as a result we have a radiant and smooth skin. Enjoy this soap with sea ​​breeze scent, it's an authentic marine delight! ALGAE AND ALOE VERA: Olive oil (Olea europaea husk oil),aloe barbadensis (aloe) leaf juice, aqua,cocos nucifera oil,ricinus communis oil, sodium hydroxide, butyrospermum parkii butter,glycine soja oil. Spiruline alga, irish moss and fucus alga. * To last longer, deposit the soaps in a soap dish with good drainage.